RAS: ATR Maintenance, Repair, Overhaul, ATR aircraft, base maintenance, line maintenance, ATR 42, ATR 72, checks 36,000 cycle checks, heavy maintenance, avionics, conversions, modifications, structural work, ATR Turboprop Engine Maintenance, Pratt & Whitney engines, PW 100 Series, PW-120, PW-121, PW-124B, PW-127, European, technicians, ATR engine checks, changes, ATR MPD checks; 36,00 cycle checks, interior, cabin refurbishment, repair, replace, window panels, seat rails, overhead bins, floor panels, carpets, linings. Carefully servicing over 75 ATR aircraft annually, RAS has the broad experience to be your complete, reliable solution for ATR Maintenance, Repair and Overhaul (MRO). We can provide you with expert base maintenance or line maintenance. Specializing in the ATR 42 and ATR 72, but authorized for most other major aircraft, we provide everything from A checks to 36,000 cycle checks. For 40 years RAS has earned a reputation as trusted leaders in ATR heavy maintenance, avionics, conversions, modifications and structural work. We also buy and dismantle surplus ATR aircraft for parts. You can take advantage of fixed-term maintenance programs that meet your needs – and keep your ATR aircraft flying profitably. RAS has the expertise and facilities to keep the twin turboprop engines of your ATR 42 and ATR 72 purring smoothly. 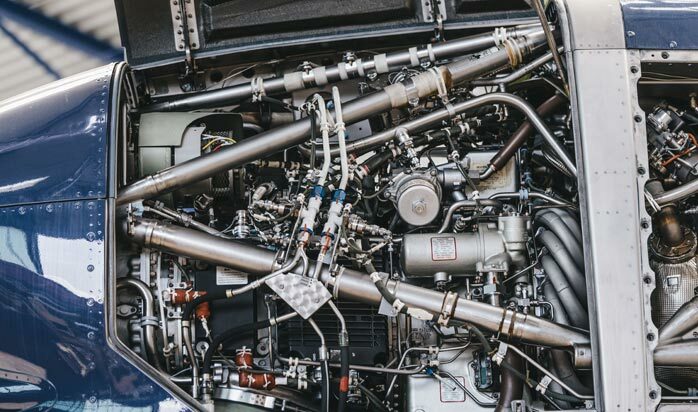 We provide expert repairs on Pratt & Whitney engines, such as the PW-120 and PW-121, as well as the PW-124B and PW-127. 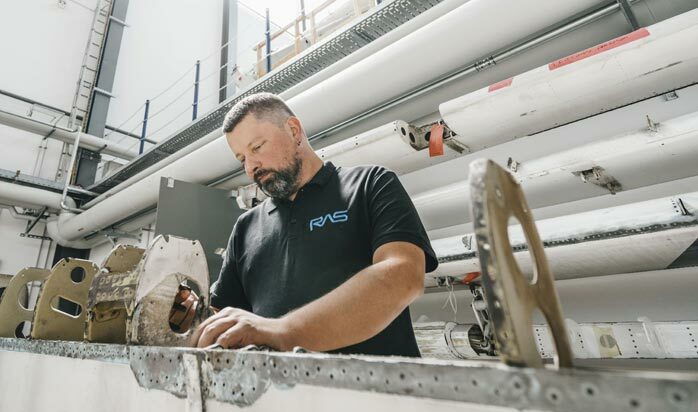 The first European member of ATR’s new worldwide MRO partner network, RAS has 100 highly-skilled technicians available to service your aircraft, and perform expert ATR engine checks and changes. You can count on RAS for all ATR MPD checks; 36,000 cycle checks; and much more. The large 4,200m² floor-heated hangar at our main facility accommodates up to six ATR 42/72 aircraft. A new 4,300m² hangar will allow us to handle six more ATR 72 aircraft. In addition to providing ATR operators a full range of structural and exterior repairs, RAS provides expert interior and cabin refurbishment. Let us restore the look and luster of your aircraft interiors. Our skilled craftsmen can repair or replace seat rails, overhead bins, floor panels, carpets and linings. 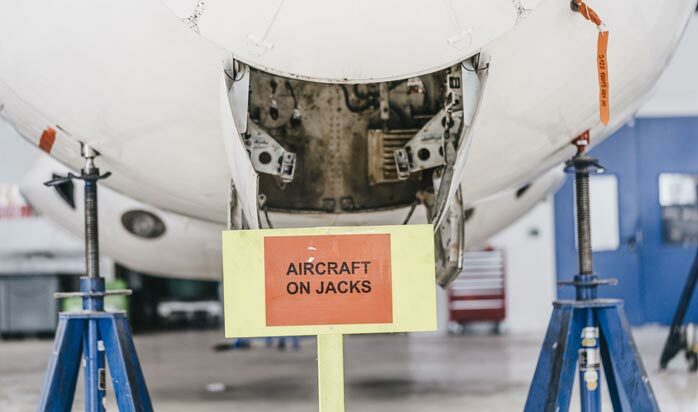 Our huge on-site parts warehouse, as well as access to hard-to-find parts taken from the ATR aircraft we buy and dismantle, adds to our efficiency in restoring and refurbishing ATR interiors.